Fluoride is a mineral that occurs naturally in many foods and water. Every day, minerals are added to and lost from a tooth's enamel layer through two processes, demineralization and remineralization. Too much demineralization without enough remineralization to repair the enamel layer leads to tooth decay. It can also be directly applied to the teeth through fluoridated toothpastes and mouth rinses. A dentist in his or her office can also apply fluoride to the teeth as a gel, foam, or varnish. 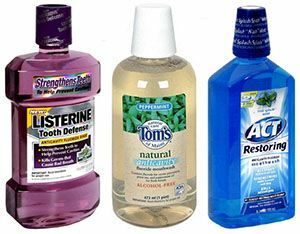 These treatments contain a much higher level of fluoride than the amount found in toothpastes and mouth rinses. 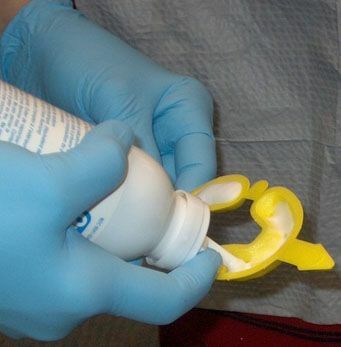 Varnishes are painted on the teeth; foams are put into a mouth guard, which is applied to the teeth for one to four minutes; gels can be painted on or applied via a mouth guard. People with certain conditions like Dry mouth, Gingivitis, history of frequent caries, presence of crowns and bridges may be at increased risk of tooth decay and would therefore benefit from additional fluoride treatment. Fluoride treatment alone will not prevent tooth decay! It is important to brush at least twice a day, floss regularly, eat balanced meals, reduce sugary snacks, and visit your dentist on a regular basis.